So you own an iPhone, what next? the latest iPhone's along with iOS 8 will let you enable perform lot of tasks faster, easier and use your new iPhone to its full potential. 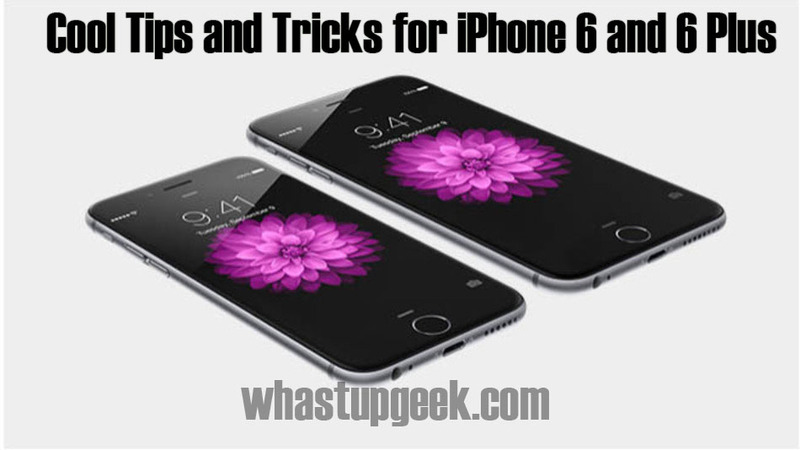 Here are the tips, tricks and some of the Hidden features that you must know owning an iPhone 6 or 6 Plus. 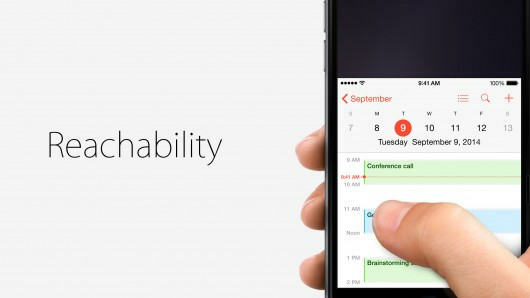 It is difficult to operate the iPhone 6 Plus on a single hand. the one-handed mode enables using the phone without any worries. just double tap the touch id button(no need to press) and BOOM the screen drops down for easy accessibility. The iPhone 6 and 6 Plus can be charged using an iPad charger faster without causing any damage to the phone. even though the iPhone's ship with a 1A chargers they can be charged using the 2.1A battery witout any worry. Want to hide photos avoiding the embarrassment caused when anyone finds your personal pics. the photos can be hidden by long pressing an image and select hide. the image will be hidden away from Collections, Moments and years but will be visible in Albums. The slow motion feature was added to iPhone 5s last year and the updated version allows you to record the video at an incredible 240 frames/sec. to record slow motion click on the camera app and swipe towards right twice and you will able to record slo-mo video. iOS also enables to edit the video at ease and give it dramatic look! When you are entering your credit card details on any website using the Safari browser, you can scan your card instead with the iPhone’s camera. the option is placed above the keyboard, select it and scan card using the iphone's camera and all the fields are filled automatically. 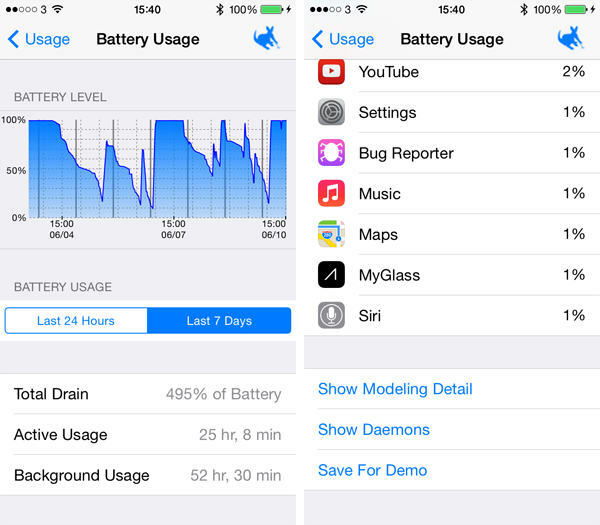 This iOS 8's feature allows you to monitor which app is consuming how much % of the battery. this enables you to find which app is draining your battery running in the background. go to General>Usage>Battery Usage for monitoring the battery consumption. When your iPhone doesn't have enough battery to run through and you need the phone to stay ON till you reach your home, the Greyscale Mode comes handy. It turns OFF the full-color screen to grayscale(B/W color). It also stands as important accessibility feature for those affected by colour blindness. It can be enabled by going to Settings>General>Accessibility>Grayscale. 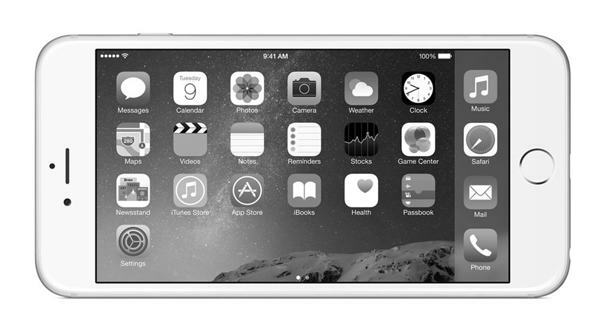 The iPhone 6 and 6 Plus come with sensors that can be able to count the no. of steps and flights of stairs you walk with a higher accuracy. The iPhone's are also equipped with the Health app that shows all the data at a single place. It can also connect to other app for importing other kind of data. This feature can be used only if you have a Mac running OS X Yosemite. This feature allows you to answer call or respond to text messages right from your Mac and also make calls from the Mac. 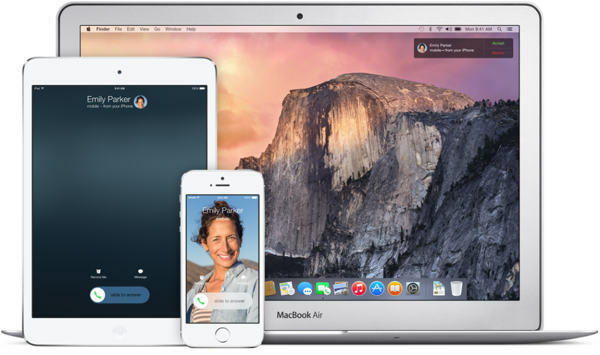 To attain this feature the iPhone and Mac must be connected to same Wi-Fi and logged into facetime and iCloud with same Apple account. To disable, go to Settings>FaceTime and turn off iPhone Cellular Calls on iphone and FaceTime>Preferences, Click Settings and deselect the iPhone Cellular Calls option. 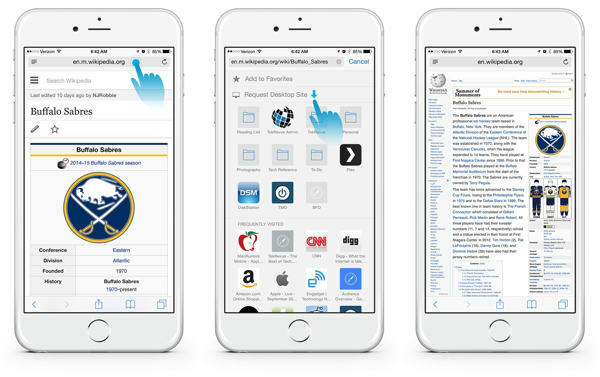 iOS 8 lets you view Desktop version of a website on the iPhone. The big screen on the iPhone 6 Plus is best for viewing the desktop version. 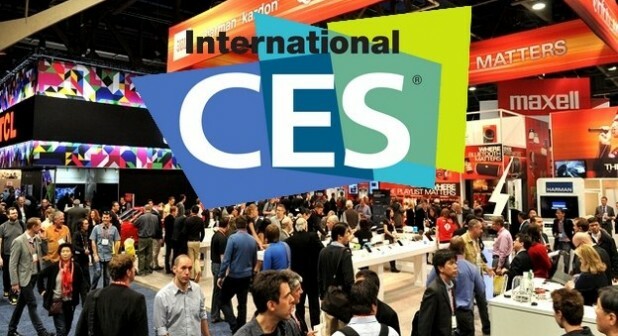 to enable this feature open the webpage in the safari browser. Click on the address bar that will bring up your bookmarks and recent history. Then when you swipe down you will find the option to Request Desktop Site. If you have accidentally deleted a photo and want that back very badly, you will be getting it back with this new feature that stores all the deleted images in the album 'recently deleted'. The images and videos are stored in this for 30 days and later wiped from the device. Recording Time Lapse videos were added to iPhone with iOS 8. Though there were third-party apps but now this is directly available in iPhone's camera app. To record Time Lapse video open the Camera app. Swipe right or left until you find he words Time-lapse in yellow at the bottom. Tap on the record button to record and you can record it as long as you would like and tap again on the record button to stop recording and the video is stored in the Camera Roll to watch your own recorded TimeLapse video. Which feature you use the most? How many tricks you know earlier before you read this post? Did i miss any post? if yes comment down those features.